Saying a dispensary is a place you could take your mom to is a huge compliment. 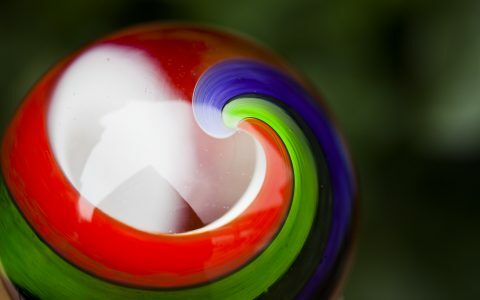 Its connotations are cleanliness, a welcoming atmosphere, helpful and personable budtenders, a product selection that caters to all types of consumers, and an overarching atmosphere of maturity. 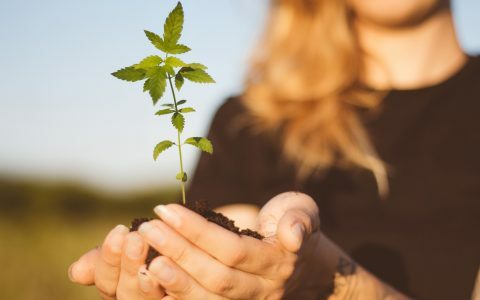 While not all moms are new to cannabis, many are still new to dispensaries, and if you’re hoping to share the new face of cannabis culture with your mom through a visit to a rec shop, you’re probably looking for somewhere that’s not draped in tie-dye tapestries. With that in mind, the following are our picks for dispensaries your mother will love. 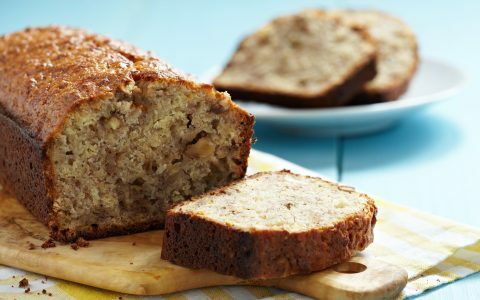 If we were moms in Beverly Hills, we’d shop at The Green Easy. 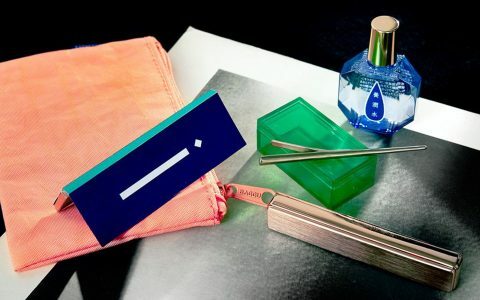 A white-on-silver color scheme, gorgeous glass display cases, sparkling chandeliers and fresh flowers in the entryway quash notions that cannabis is still a counterculture. 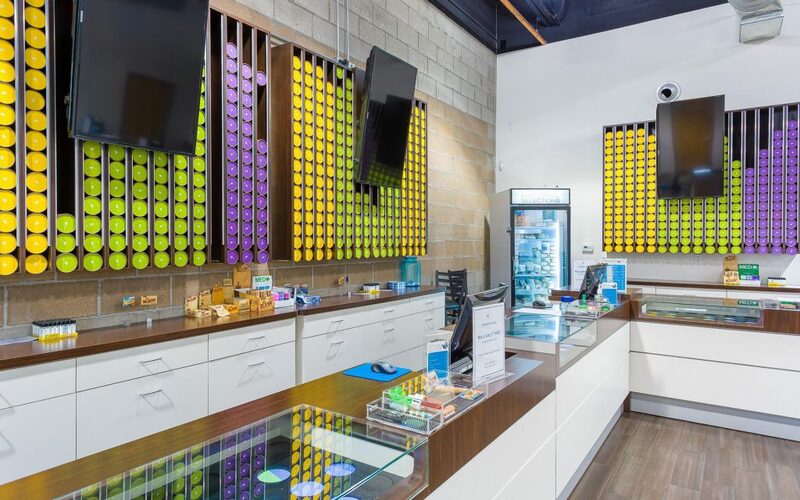 Harvest’s merchandising and store organization give customers a familiar physical retail experience—you’ll feel like you’ve stepped into a natural foods market rather than a dispensary. 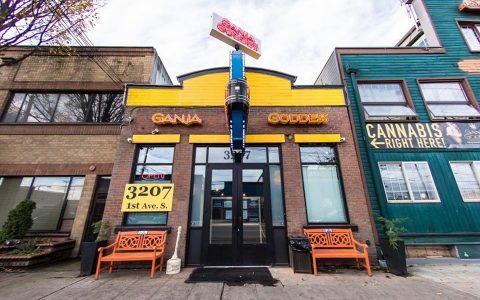 This lively, well-lit location keeps it classy yet approachable, and budtenders here are always more than happy to help newcomers select the right beginner products for any goal or budget. 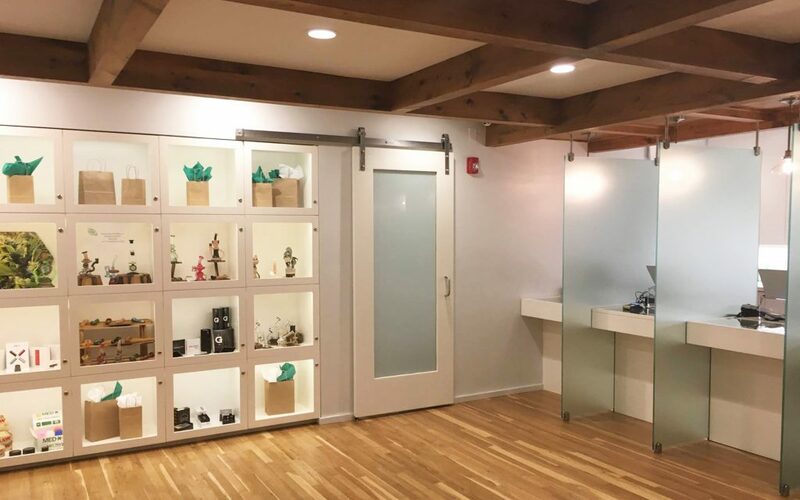 Visitors to Caliva can’t help but relax and enjoy themselves—the award-winning dispensary, decked out with reclaimed wood, local art, and a living wall, delivers products of the highest quality; they even have an in-house testing lab onsite. 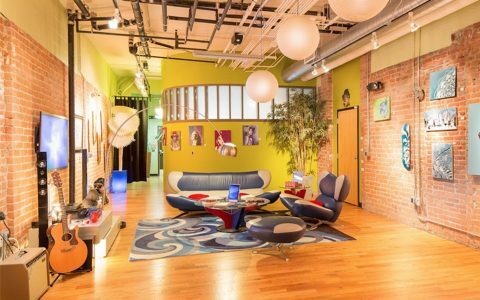 This bright and lively location features a plethora of products that you’ll have fun browsing with your mom, and the meditative lounge area that accompanies the store offers comfy couches, coffee, smoothies, music, and more—hang out there as long as you like. Muted neutral tones set the stage at this upscale location in Victoria. 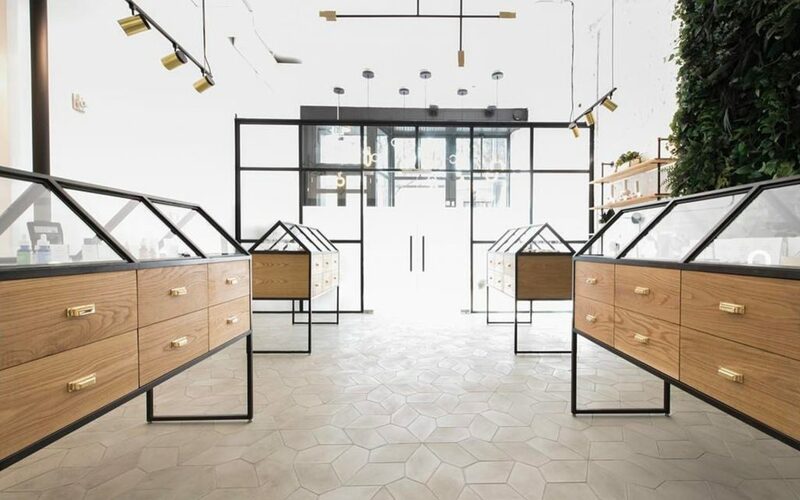 With glitzy display cases and an easy-to-navigate menu posted behind the counter, you’ll feel more like you’re ordering a split-shot latte than a gram of Super Lemon Haze. The Lightshade brand name is among the most well-respected in Colorado. While all six of its current locations are fantastic, we especially love the one on 6th Avenue for its central location and impeccable service. 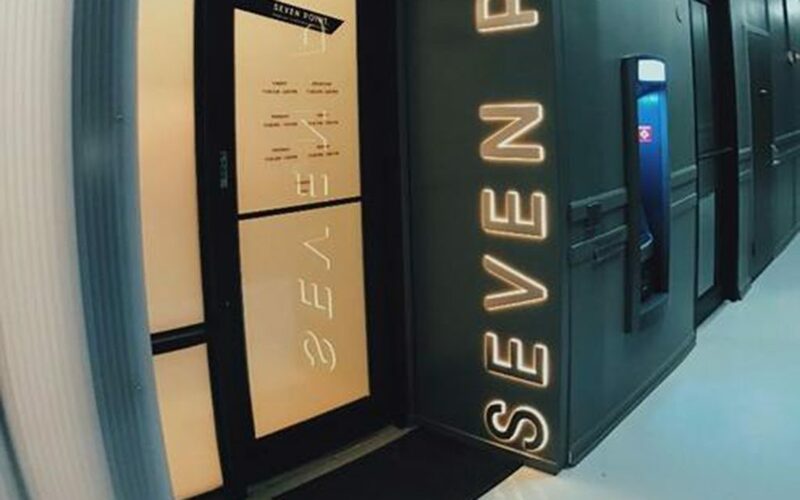 Simply Pure exudes class and maturity, from the atmosphere in the lobby (well-stocked with cannabis magazines) and the brands available to the professionalism of the budtenders on the floor. Silverpeak considers itself the Tiffany’s of dispensaries. 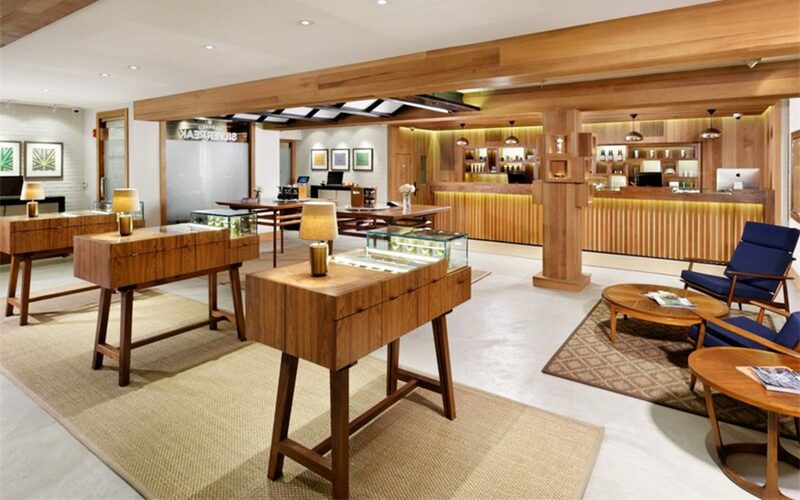 Built out by Tanagram Design, the warm wood-paneled Aspen showroom is transportive and absolutely gorgeous. 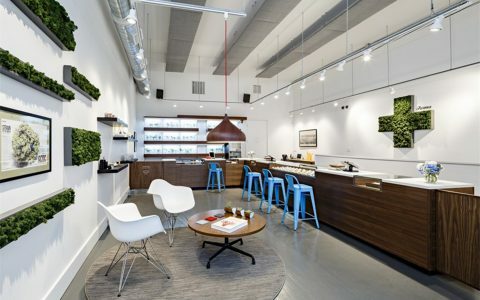 Chicago-area dispensaries sometimes seem to be in a class all their own—million-dollar buildouts characterize the city’s storefronts, and Seven Point is no exception. With a front door reminiscent of an upscale apartment building and a modern apothecary-esque vibe inside, it’s no wonder visitors of all kinds love coming here. Situated near Mt. Tabor, Chalice Farms’ Powell location is the perfect place to stop and grab an edible, then savor its effects on a walk through the park. 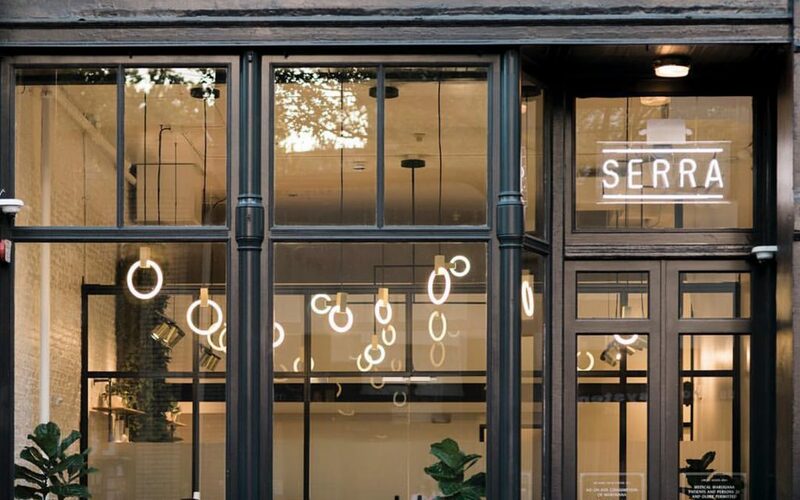 Serra’s design scheme is nothing short of stunning, and the store’s Southeast location is no exception. The products here are equally classy—if your mom loves to shop upscale accessories, this is where to take her. High Grade Organics is a quintessential lifestyle store, with a thoughtfully curated product selection thoughtfully displayed inside a cute butter-yellow building. The focus here is on cannabis’s ability to stimulate creativity, so if your mom loves to write or paint, she’ll adore this shop. 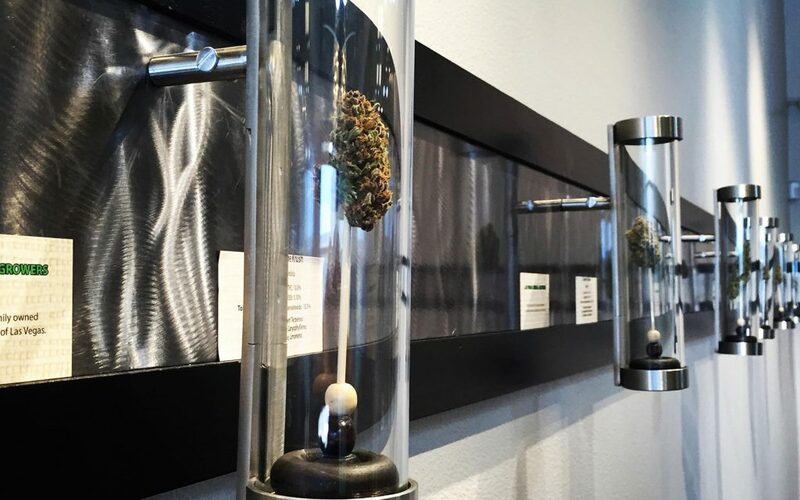 Products are beautifully displayed here, and frosted glass partitions between registers let visitors receive budtender recommendations with a degree of privacy. 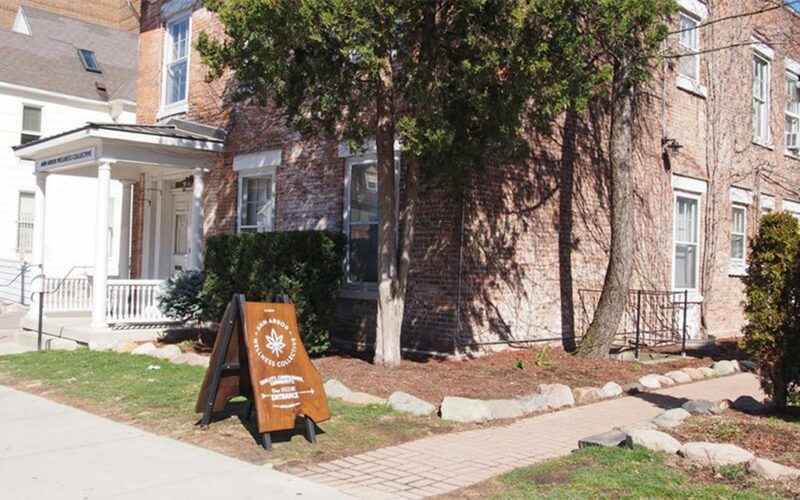 It doesn’t hurt that the brick building this dispensary inhabits is steeped in New England charm, right down to the garden gate-style entrance. 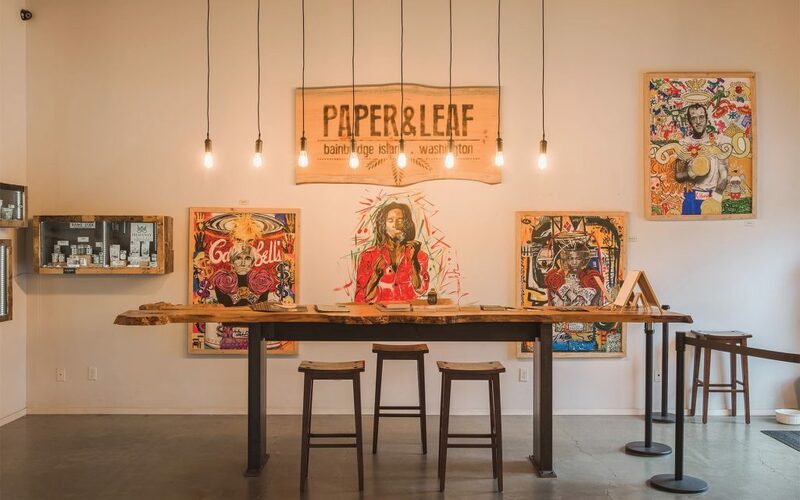 This family-owned dispensary, which sees legalization as an unrivaled opportunity to present cannabis to the world, has been pleasing hard-to-please Bellevue moms since I-502 went into effect. Off the beaten path in the lovely Leavenworth area, American Harvest is largely female-owned and -operated. It’s a perfect stop on a road trip over the pass for a weekend out of town. Designed by Johnson Squared Architecture and Semigood Design, Paper and Leaf embraces minimalism yet exudes warm, welcoming vibes. 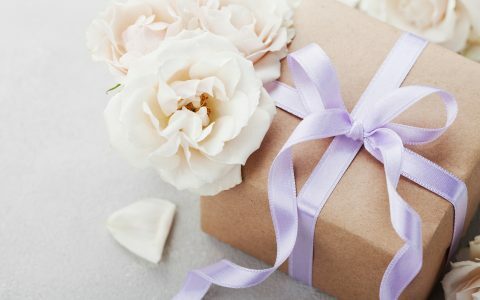 Arizona Natural Selections has a uniquely feminine feel that’s perfect for putting apprehensive moms at ease. High ceilings, bright lighting, colorful wall accents, a butterfly motif, and an ultra-clean look and feel make this place a must-visit. For those outside of Scottsdale, there’s also a location in Peoria. The Holistic Center recalls a spa, with an earthy color palette and partitioned desks for private consultations. Keep with the spa theme and treat your mom to an infused balm or bath soak while you’re there. Housed in a charming white-and-brick building, this airy and bright location features elegant light fixtures, classy art pieces, marble countertops, and more homey details. 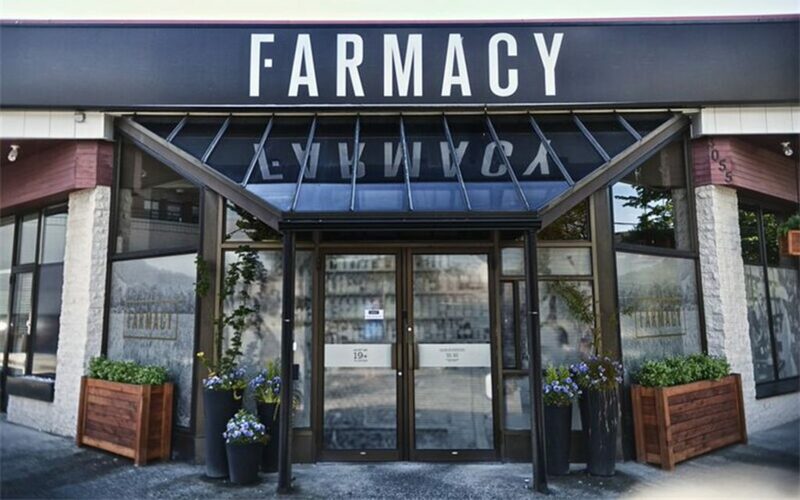 This clean and clutter-free location feels like a pharmacy, which moms picking up medical cannabis will appreciate. 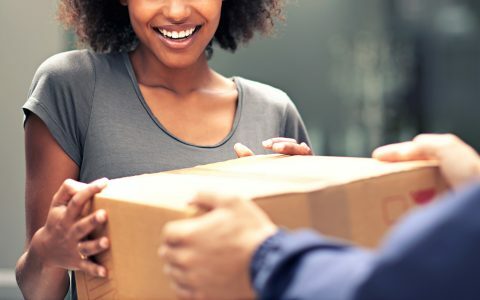 Bright lighting, a white-and-green color scheme, and no-nonsense displays let customers think critically about their product selection without being overwhelmed. 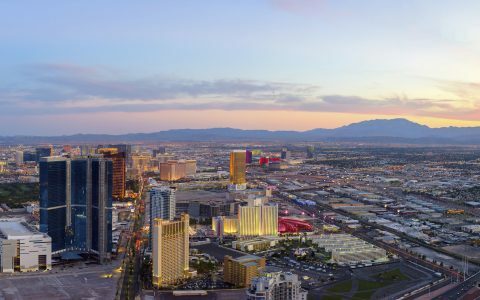 Oasis in Las Vegas is oh-so-zen: spring-green walls, tile-accented displays, a waterfall, big leafy plants, skylights to let in plenty of natural daylight, and a farmer’s market hosted on weekends are there to make anyone feel welcome. 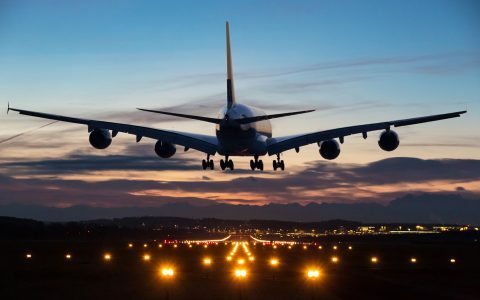 If you’re vacationing in Vegas, this luxe location is guaranteed to please—treat yourself and your mom to a few edibles and pre-rolls, and save them for winding down after a night out on the town. This pretty corner store is planted with flowers out front and just as cheerful inside. 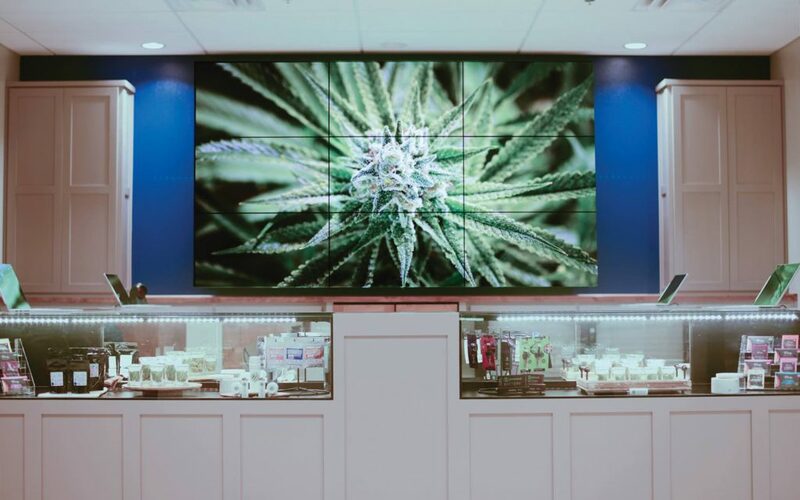 Big windows shed light on the main counter, behind which friendly budtenders await, always willing to spend as long as needed to ensure visitors leave with the perfect products for their needs. i would love to take my mother to a dispensary someday. no she doesn’t, but she doesn’t mind me smoking too much. i talk to her about it quite often and she might smoke if she got a serious illness or to help with death as she gets older.